Gaming Furever is a gathering place for furry gamers. Chat, convene, and play with other video gaming furries from around the world. Rare Replay released on the Xbox One today, and includes five short documentary videos about five games in development by Rare that never saw the light of day as fully-fledged games. Some of them sounded quite furry! The games that can be previewed are Sundown, The Fast and the Furriest, Kameo 2, Black Widow and Tailwind. Unfortunately, the actual video clips of these unreleased games aren't available yet, because no one has unlocked them all yet! As soon as we get videos of them all, we'll update the story. For now, we have these screenshots from the short preview videos attached to the games, courtesy of Kotaku. Black Widow looks like a primarily vehicle combat driven game, without a lot of furry influence save for the "mech's" close resemblance to a spider. At first glance, Sundown appears to be a horror game starring three teenage-looking undead creatures of some sort. This looks like a relatively fleshed out idea. Kameo 2 was probably closer to becoming an actual game than any of the others on this list, and looks like there was already a good set of concept art for the game, along with models and surroundings. I would love to see the different forms Kameo would have taken in this sequel and hope that info is included in the preview vid. No doubt this would have been a furry bonanza racing game. Looks like a game akin to Mario Kart of Sega All-Stars Racing. It's a shame this didn't make it to release. Probably the earliest in development game of the five, there's no clues as to whether this game's "Tail" Wind would have actually included anthro characters. Playtonic Games, a studio featuring former staff of Rare who worked on Banjo-Kazooie and the Donkey Kong Country games, has just released the name and main protagonists of their first game. Yooka-Laylee stars Yooka, a sprightly green chameleon, and Laylee, a toothily-grinning purple bat. Playtonic Games will be launching a Kickstarter campaign tomorrow, May 1st, to drive production of new features and platform releases. We'll be sure to keep you updated! Below is a video of gameplay from the game from IGN. Are you excited?! Gigantic, a free to play team-based game that's coming to PC and Xbox One, was recently shown off at PAX East with fast-paced PvP gameplay. Gigantic is a MOBA-esque third person shooter and brawler with an emphasis on teamplay. Each team gets a giant beast they are supposed to defend as well as power up so that it can fight and take down the enemy's beast. There are no minions or towers, instead it focuses primarily on PvP combat and character progression. The game also hosts a fantastic looking array of characters to play as in a unique art style. A majority of them having some sort of furry aspect to them, such as the mouse-like mage, or the foxy bowman. There is also what seems to be an owl fencer, a rhino brute, a bull spearman, a lizard charger, and a robot. There's also a few human characters, like a sniper, mage, rogue trapper and an alchemist. This does not only look like a fun game, but it looks great as well! Could this be a worthy competitor to the likes of Team Fortress 2 or even Smite? Only time will tell, and sadly the release date hasn't been officially announced, but it is to be released sometime this year. There is no sign of an announcement if of it being released on the Playstation 4 either, so expect it to be a PC and Xbox One only game. The chocobos they showed off in the Chocobo Post are the most fabulous looking chocobos to date. The graphics for Final Fantasy XV are incredible and when they showed off the Chocobo Post I was extremely impressed with how the chocobos looked. They don't only look great in the new engine, they look fabulous as well! Hopefully we'll be able to ride them like you can in other final fantasy games, or even breed them to get different colors. We'll find out in time, I'll work on keeping up to date with these birds and their involvement in Final Fantasy XV's world. The team from GalaxyTrail are bringing Freedom Planet to the Nintendo Wii U eShop "soon!" The sonic-inspired platformer is currently available on Steam, but it's exciting news to see a game like this make its way to a console. We'll keep you updated when there's an official release date. FOr now, you can check out the game on Steam. The team behind Shelter, Might and Delight, are bringing Shelter 2 to us this February. To prepare us for all this cuteness, they've released the aptly titled "Cuteness in Shelter 2" trailer, full of lynxy goodness! Guide a powerful Lynx through vast open landscapes. Give birth to your cubs, raise and strengthen them by mastering your skills for hunting prey. Explore the wild beauty of nature and do everything possible to prepare your family for the vicious entities dwelling on the cold tundra. 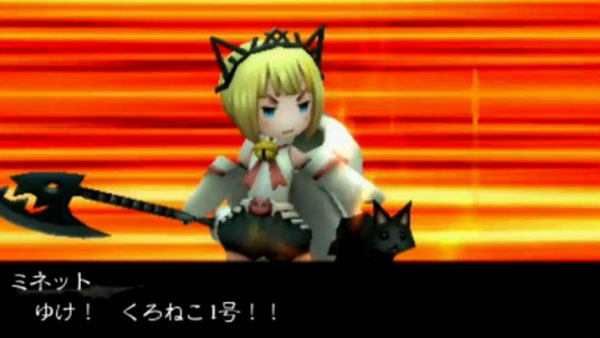 Square Enix showed a new character and job class for Bravely Second at Jump Festa 2015 in Chiba that has a special interest for furry fans of the series' new entry. Cat High Arts: Takes two items to summon a pair of cats to pull off powerful moves. At Jump Festa, it was shown in a demo as used to raise everybody’s BP by one, but has been deemed too powerful by the development team and will be re-balanced accordingly. What cats appear depend on items used. When “Death Spiral,” a move that hits several times, was used, the two cats were gray and brown, and a doodle of a cat appeared above the character that summoned them (apparently drawn by designer using their non-writing hand). Items used to summon cats are acquired through moon reconstruction. Cat Arts: Following moves confirmed: “Consume,” “Slugger,” “White Window,” and “Book Burning.” These only take one item to summon a cat to do. Nenneko: Makes all enemies fall asleep. Lie Down: Raises physical and magic defense. I'm not a player of Bravely Default, but what do those who have played the game think of this new class? Been looking for a way to scratch that furry fighter game itch? It looks like the folks at Capcom in charge of Ultra Street Fighter IV are going to help you out with an upcoming animal-centric costume pack. The costume concepts were first reported by blog Shoryuken from the first day of Capcom's Pro Tour Asia event at GameStart 2014, and feature concept sketches of fighters Dudley, Ryu, Gen, Hakan, and Cammy in Bulldog, Wolf, Goat, Octopus, and Fox costumes, respectively. It looks like everyone but Cammy went all-out with their costumes, which are actually surprisingly "furry" in style. You can check out the concept art below. What do you think? Are these designs to your liking and are you surprised that they are actually going to be created for the game? Five Nights at Freddy’s, the well-praised point-and-click survival horror game released last summer, is coming back with a full-blown sequel. Developed by Scott Cawthon, the original Five Night at Freddy’s had you working as a security officer for the Freddy Fazbear’s Pizza restaurant, in which you had to survive five nights of murderous malfunctioning animatronic characters by watching the cameras and closing two security doors when necessary. The game was praised by the gaming community and reviewers alike, making it one of the scariest games released in 2014. According to the developer, various new mechanics and animatronic characters will be arriving in the new sequel. One such game mechanic is the ability to use your own Freddy Fazbear head so that you can hide from the murderous animatronic animals. No information on the new animatronic characters have been released as of yet. A Steam Greenlight page was released on October 21st with a new teaser trailer showing off new animations and enhanced environments. The game was officially greenlit on the 24th, three days after it was put on Greenlight. Freddy 2 has been confirmed to be released sometime in 2015. Vib Ribbon, the quirky rhythm action game from the PSOne era, is making a comeback. Sony’s Shawn Layden announced today on the PlayStation blog that Vib Ribbon will be playable on PS3 and PS Vita this week in US, Canada, Latin America and Japan with a European release happening next week. A PS4 version is still being worked on. Created by Masaya Matsuura and Nanaonsha, the developers of other widely known quirky rhythm action games such as PaRappa the Rapper, the game stars a rabbit built out of vector shapes whose voice sounds like it came out of a bad autotune song. The game is simple: press the buttons that match the corresponding shapes to get Vib to jump and dodge the various obstacles in his way in time with the music. It is simple to learn but hard to master as the levels get harder with the music becoming more complex. Exclusive to PS3 owners, Vib Ribbon will allow you to create your own level based on the audio CD that you choose. No word on whether created levels can be shared between friends. The Kickstarter that Will Make Your Dreams of Dating a Bear a Reality! Have you ever wanted to have Bear Senpai notice you? Do you ever dream how it would be to date a bear? Well, this Kickstarter hopes to bring that fantasy to life! Bear Senpai: Date the Bear of Your Dreams is a Kickstarter Project that hopes to bring your fantasy of romancing a real life bear into reality. It is an attempt to stray from the norm and instead of giving you romance options with boring old humans, the romance options are now bears. "I think it's time that games make the logical next step, to expand the art form. So I'd like to announce that I'm going to be working on Bear Senpai, a game where the romance options are... bears." That's right, bears, not THOSE kinds of bears, but the big, fluffy beasts that roam the earth. Keep in mind that this game is not going to be adult-oriented so don't worry about trying to hide the screen as you play it. Even though you might get a bit blushy because Bear Senpai will finally notice you.